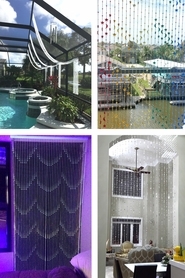 If you love the look and feel of glass beaded curtains but don't like the expense and the pane of glass(! 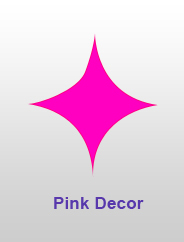 ), we're super delighted to offer this heavy duty, Party Pink Acrylic Beaded Curtain "Aberdeen"! it's truly stunning and measures 35 1/2" wide by 83" long (one inch shy of 7"!). This sturdy curtain weighs 5 lbs. and there are 34, amply beaded strands of top quality, super strong acrylic beads that are almost like glass. The metal header rod is off-white and has 2 sliding eyelets for ready to hang Decor. Aberdeen features a considerable amount of style and texture - the strands are interspersed with 1/8", 1/4" and 3/8" wide beads that are fused to the strand so you can cut the length and not harm the curtain (then you'll have some extra bling)! The finish on these lively pink beads is astounding! The superior quality acrylic makes the beads look almost wet. They glisten even in low light and in the sun or with a light source. Totally gorgeous! The strands are double beaded - inside the see-through, pink colored outer bead is a white bead, and what an extraordinary visual statement that makes! At almost 7" long, this curtain is an ideal backdrop for large venues, retail spaces, bars and night clubs or for weddings, events and stage designs. Around the house, update a window or doorway entrance or add a fabulous accent to a wall. Break up a large area or divide a room to create cozy, inviting settings. You can absolutely walk through this curtain without worrying about tangles. 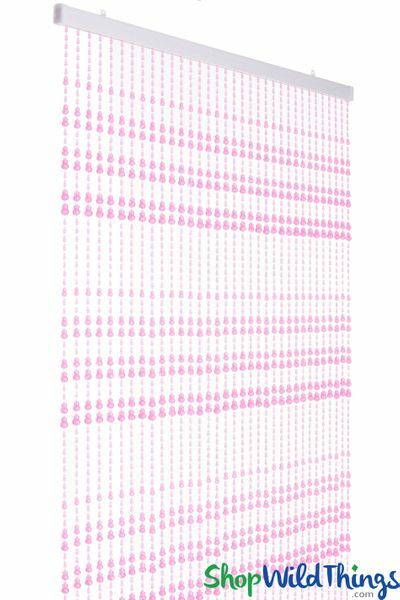 We know you'll be just as amazed as we are with this Party Pink Aberdeen Curtain. Heavy-duty, top quality acrylic, the look and feel of glass, outstanding visual appeal, extraordinary coloring and extra-long! Simply, enjoy!